This Saturday, March 17—millions of people across the world will don their finest greenery and celebrate the Irish with parades, good cheer and maybe even a pint. For the week that’s in it, here’s some fun Paddy’s Day trivia to share with your friends and family. 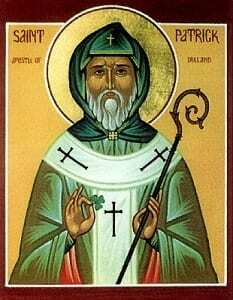 1 Ireland’s Patron Saint, St. Patrick , was not Irish. In fact he was born Maewyn Succat in Wales around AD 390. At 16, he was kidnapped by pirates and held in captivity in Ireland for six years. Following a daring escape, he became a Christian missionary and returned to the Emerald Isle to convert the pagan Celts. 2 While the colour traditionally associated with St. Patrick’s Day is green, St. Patrick’s official colour is actually light blue. 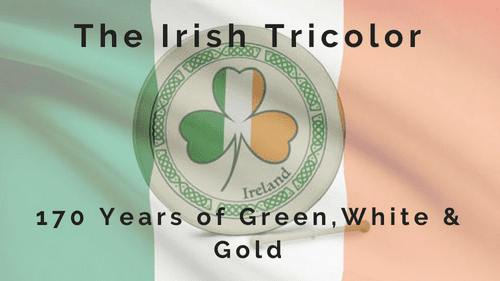 The colour green gradually became the unofficial colour of festivities due to its connection to the Irish independence movement in the late 18th century. 3 Surprisingly, the very first St Patrick’s Day parade was not held in Ireland. In fact, the parade tradition the originated in 18th century America by immigrants wishing to celebrate their heritage. The world’s first Saint Patrick’s Day Parade taking place in Boston in 1737, followed by the 1762 New York Parade. Parades did not spread to Ireland until the 20th century with the first ever parade held in Waterford in 1903. 4 From 1927 until 1961, the selling of alcohol on St Patrick’s Day was banned by the Irish government. As March 17 was considered a strictly religious holiday in Ireland, pubs throughout the country had to close their doors. The sole exception of this went to beer vendors at the big national dog show, making the dog show the place to be on Paddy’s Day. 5 These days however, St. Patrick’s Day is a far more boozy affair. Guinness sales see an enormous surge on the day. In fact, recent figures reveal that 5.5 million pints of Guinness are consumed across the world every day yet on St. Patrick’s Day this figure doubles. 6 Over the past 8 years, Tourism Ireland have spearheaded the #GlobalGreening campaign which sees a host of major landmarks around the world turn green for St Patrick’s Day. This year’s “Greening” is set to include about 100 landmarks, some of which you can see in the video below. 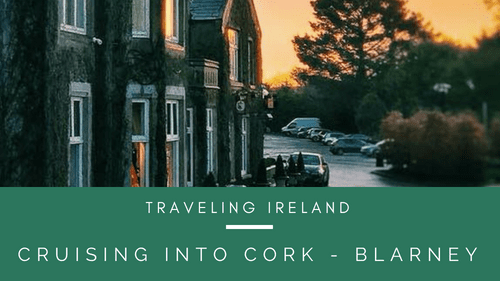 7 Paddy’s Day celebrations are not just limited to this planet! In 2011, astronauts on the International Space Station paid homage to the day by playing flutes and tin whistles belonging to the Irish group, The Chieftains. 8 Dripsey in County Cork held the title for the world’s shortest parade. At just 77 feet, the parade covered the distance between two pubs – The Weigh Inn and The Lee Valley. The world’s smallest parade is held in Enterprise Alabama. This consists of one person of Irish descent dressed in festive clothing and carrying a large Irish flag who then walks one block from the courthouse to the Boll Weevil Monument and back to the courthouse. 10 There is an estimated 80 million people worldwide claiming some Irish descent. Around 33.3 million people in America claim Irish ancestry —that’s a whopping 10.5% of the total population! 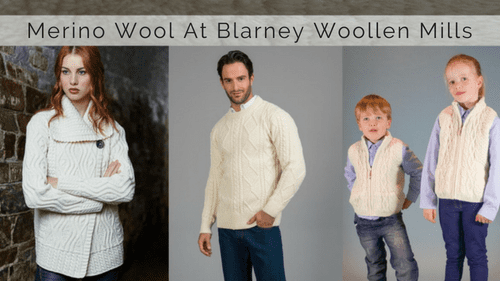 Happy St. Patrick’s Day from Blarney Woollen Mills!